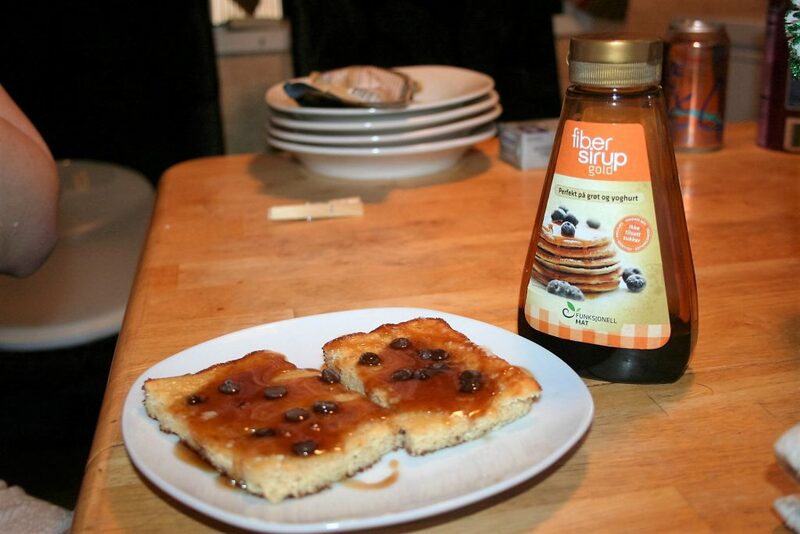 An unconventional, easy, time saving way to make pancakes. Being on a low-carb diet, sometimes means that you need to incorporate more fiber. 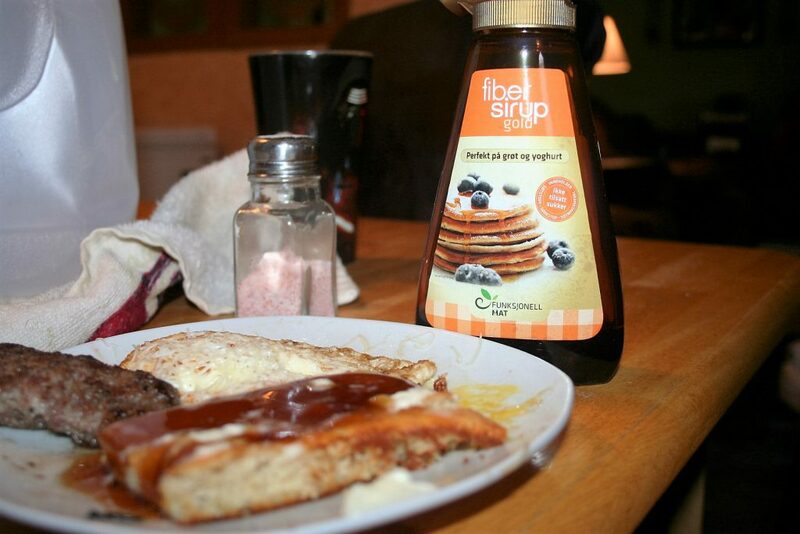 Sukrin has a fiber syrup that we like to use on pancakes – yes, low-carb pancakes. Yummo! Anyway, I decided that maybe Sean might want to have some on a daily basis but making pancakes every day is NOT going to happen. 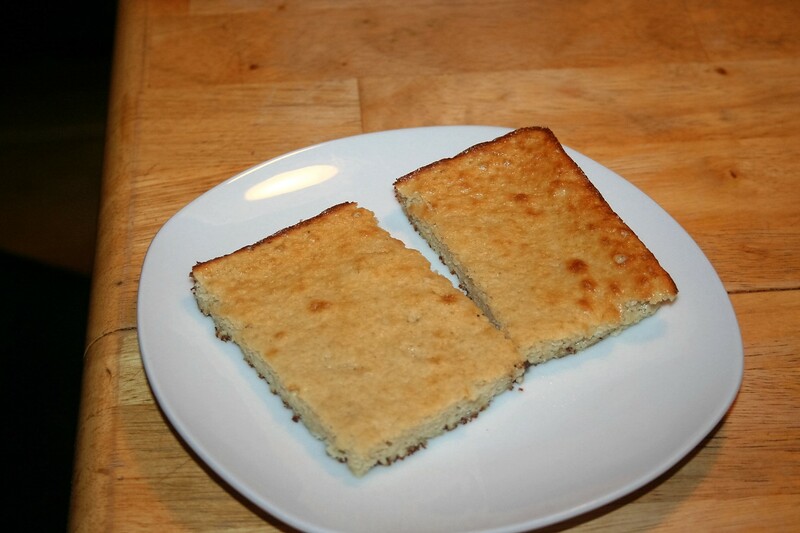 Then I remembered reading on a fellow Oklahoman’s blog, that she made pancakes in the oven. She said it works for any batter that has two cups of flower in it. I wondered if this would work for these low-carb pancakes I’ve been making. 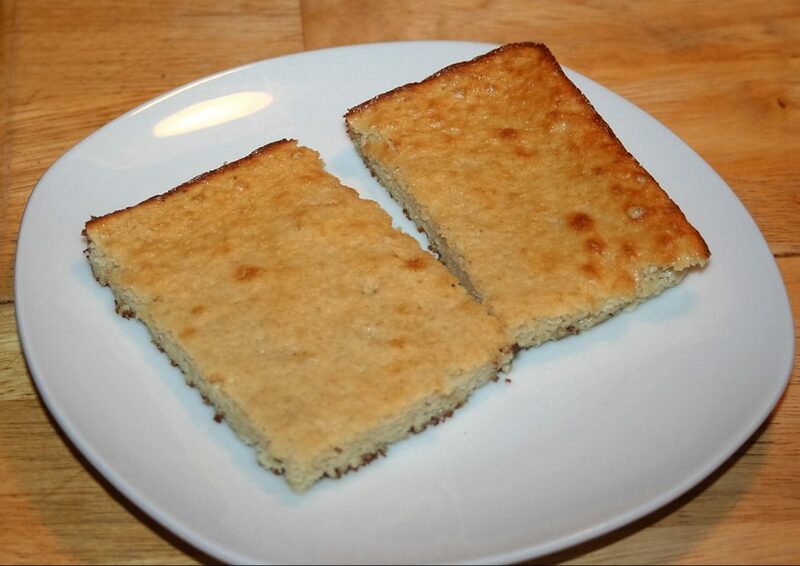 (Well, actually, I’ve been using the recipe in her cookbook: Cooking Keto With Kristie: A Journey Worth Taking and it is slightly different than the one in her video, which is slightly different than the one she references on the video. )I decided to give it a try when I wasn’t under pressure; so I attempted it for my breakfast yesterday. It Worked! I use her recipe but substitute coconut flower for the pork rinds right now, since Michael cannot have them. Grease your sheet pan. Mine is about 15″x11″ in size. I used coconut oil. Sorry about the bad pictures today! Put in the oven and bake on 375º for 12-15 minutes. 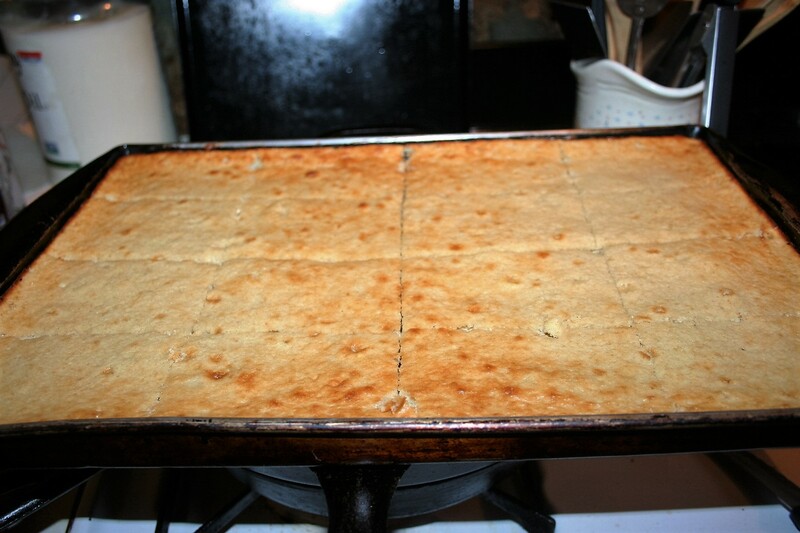 I cut it into 16 pieces because this recipe is for 8 servings. Tiffany was in the mood for some chocolate, so she added some Lily’s chocolate chips (they’re sweetened with stevia). You cannot see my pancake very good but it was delicious. 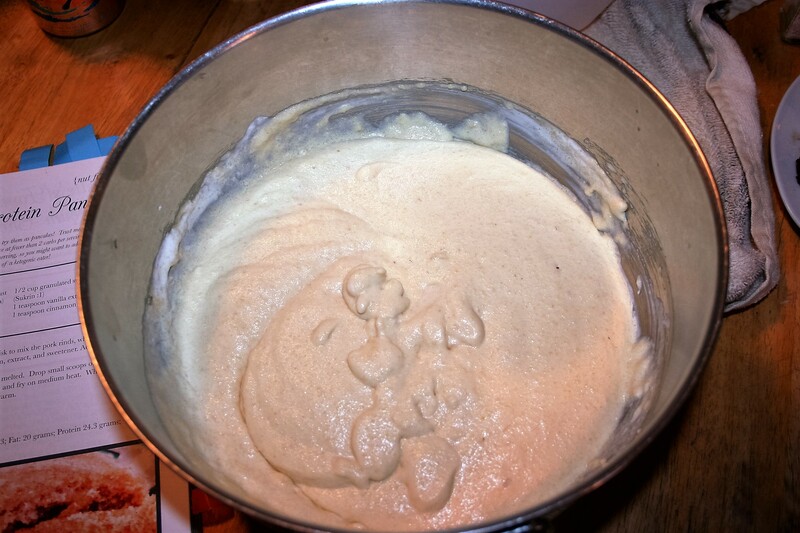 Pancake batter that has 2 cups dry ingredients. 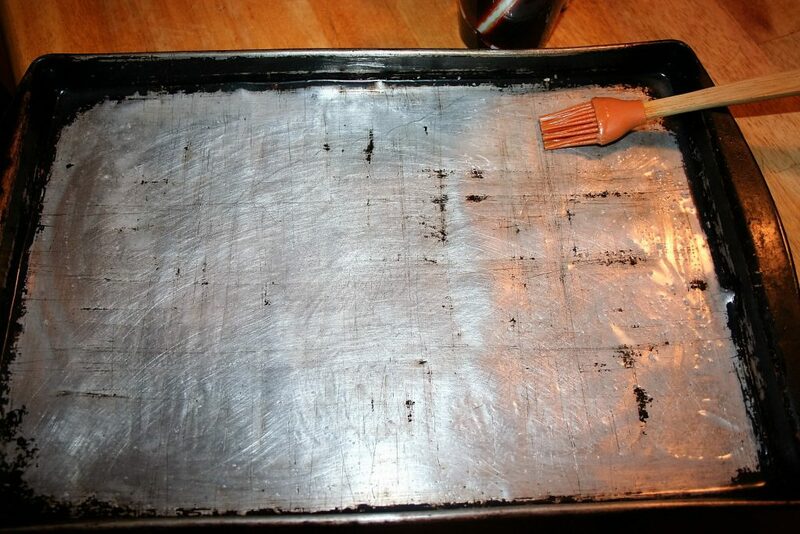 Grease sheet pan/jelly roll pan. 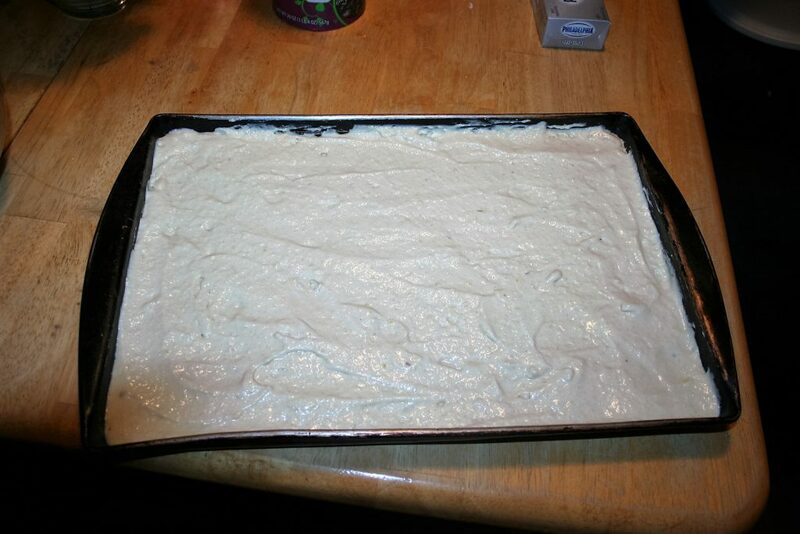 Bake at 375º for 12-15 minutes. I hope this makes your life easier. I believe it will mine.